It’s that time of year again! 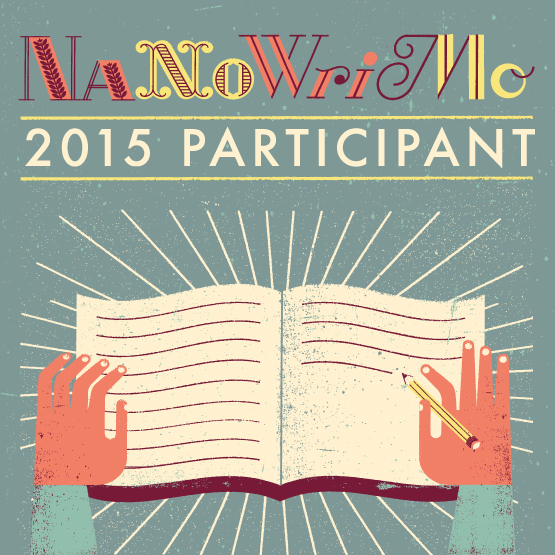 If you’re unfamiliar NaNoWriMo stands for National Novel Writing Month which is November. The aim is to finish a novel in 30 days. 325,142 participants, including 81,311 students and educators in the Young Writers Program, started the month as auto mechanics, out-of-work actors, and middle school English teachers. They walked away novelists. 803 volunteer Municipal Liaisons guided 615 regions on six continents. 849 libraries, bookstores, and community centers opened their doors to novelists through the Come Write In program. 55,774 Campers tackled a writing project—novel or not—at Camp NaNoWriMo. Completion has eluded me in previous years; I usually get to overwhelmed by week three and start to get frazzled. This year, I really hope to get as close to finish as possible – the discipline of continuous writing is almost as important to me as crafting a decent story because this is where I struggle. Hopefully, I have more than enough material to complete a first draft by the end of the month. Good luck to all the fellow participants!